Description: Researchers at the University of Cambridge captured this dramatic footage of killer (cytotoxic) T cells capturing and destroying cancer cells. These white blood cells identify chemicals on the surface of virally-infected or cancerous cells. They then inject chemicals which lead to the death of the infected or cancerous cell. This phenomenon can be used introduce the cell as a basic unit of life or be used in a larger unit on interacting systems or homeostasis. Description: Synesthesia can be used as an anchoring phenomenon when designing a unit on the hierarchy of life and sensation. Students find this perceptual phenomenon interesting and to properly understand what is going on they will have to understand a specific living system (the nervous system) in much greater detail than what is presented in the video. Students could even develop a test to determine if they, or their classmates, have synesthesia. Description: In this dramatic movie from the 1950's a neutrophil chases and engulfs a bacteria. White blood cells like this neutrophil are an important part of our immune system. They will migrate to a site of infection or inflammation through chemotaxis and eliminate invading microbes. This phenomenon will hopefully lead to a number of student questions like: How does the white blood cell follow the bacteria? What happens once the microbe is engulfed? etc. Description: The Inner Life of the Cell shows a white blood cell flattening out and squeezing through a capillary wall. 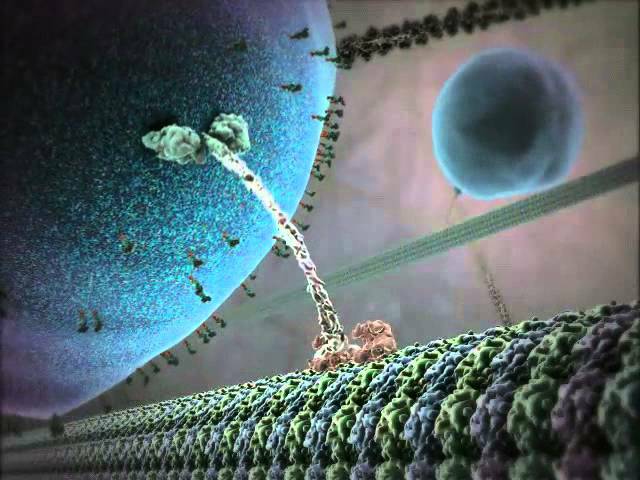 The video then zooms in to show all the biochemical processes (e.g. transcription, translation, etc.) in amazing detail. This view of the cell as a living machine can be used to introduce a unit on the cell in middle school. In high school students can explore the details of these processes or even make videos of their own.